Never again hear a student say, "I'm done, what do I do now?" 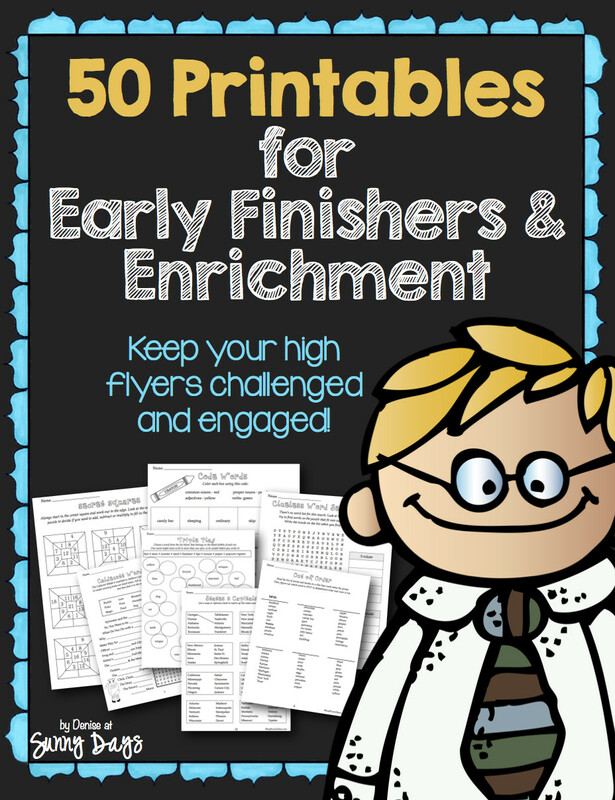 Fifty printables for enrichment and early finishers. Critical and creative thinking activities for a wide range and ability of students in grades 1-4. You may even find activities that correlate with whole class units of study as activities cover all subject areas. Unit contains a mixture of open ended response pages, independent research activities and direct question and answer pages. Copy all or a few at a time and staple together for students to keep in their desks for times when they finish classwork early or need a little something extra.